Key Difference: ISIS stands for the Islamic State of Iraq and Syria or Islamic State of Iraq and al-Sham. The UN has accused ISIS of human rights abuses and war crimes. In the western world, ISIS is primarily known for a series of videos showing beheadings of soldiers, civilians, journalists, and aid workers. The Taliban, also spelt as Taleban, is an Islamic fundamentalist political movement in Afghanistan. The Taliban have been accused of using terrorism as a specific tactic to further their ideological and political goals. Terrorist groups have always existed. However, in the past couple of decades, terrorism has been on the rise. This is due to the rise of militant groups such as ISIS, Al Qaeda, Taliban, etc. ISIS stands for the Islamic State of Iraq and Syria or Islamic State of Iraq and al-Sham. The group is also commonly known as Islamic State of Iraq and the Levant (ISIL). 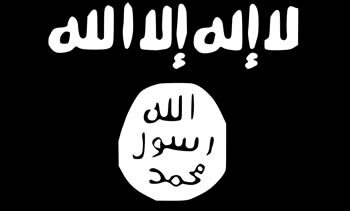 The group's Arabic name is transliterated as ad-Dawlah al-Islāmīyah fī al-‘Irāq wash-Shām leading to the Arabic acronym Da‘ish or DAESH. In June 2014, ISIS officially changed its name to Islamic State (IS). However, this name has been widely criticized and condemned. In fact, UN, various other governments, and mainstream Muslim groups have refused to use it. ISIS started out as Jama'at al-Tawhid wal-Jihad in 1999. It then changed its name to Tanzim Qaidat al-Jihad fi Bilad al-Rafidayn—commonly known as al-Qaeda in Iraq (AQI). It pledged allegiance to al-Qaeda in 2004. However, after an eight-month power struggle, Al-Qaeda cut all ties with ISIL in February 2014 citing its failure to consult and "notorious intransigence". The UN has accused ISIS of human rights abuses and war crimes. Amnesty International has reported ethnic cleansing by the group on a "historic scale". In the western world, ISIS is primarily known for a series of videos showing beheadings of soldiers, civilians, journalists, and aid workers. Today, ISIS controls territory in Syria and Iraq, and has additional territories in eastern Libya, the Sinai Peninsula of Egypt, and other areas of the Middle East, North Africa, South Asia, and Southeast Asia. ISIS aims to establish an Islamic caliphate. A caliphate is an Islamic state under the rule of a caliph, i.e. a person accepted to be a political and religious successor to the prophet Muhammad. As caliphate, it claims religious, political and military authority over all Muslims worldwide. The Taliban, also spelt as Taleban, is an Islamic fundamentalist political movement in Afghanistan. It started out as a militia group that formed in 1994 to fight against the Soviets in the Soviet war in Afghanistan. After the Soviets were defeated with the help of the Pakistanis, United States and Saudi Arabia, the Taliban formed a government claiming most of Afghanistan. As a government, the Taliban put in place the most extreme type of Islamic law ever seen in the Muslim world. It implemented an extreme version of Sharia law that violated basic human rights. Things were especially bad for women. Many criminals were put to death fast and without a fair court hearing. Anyone who refused to follow the law was considered a non-Muslim enemy. During this time, it is alleged that the Pakistani Inter-Services Intelligence and military provided support to the Taliban. Eventually, the Taliban was removed from power, mainly as part of the United States War on Terror after the 9/11 attacks. After it was overthrown, Taliban reformed as an insurgency movement to fight the American-backed Karzai administration and the NATO-led International Security Assistance Force (ISAF). Overall, the Taliban have been accused of using terrorism as a specific tactic to further their ideological and political goals. According to the United Nations, the Taliban and their allies were responsible for 75% of Afghan civilian casualties in 2010, 80% in 2011, and 80% in 2012. An Islamist rebel group that controls territory in Iraq and Syria and also operates in eastern Libya, the Sinai Peninsula of Egypt, and other areas of the Middle East, North Africa, South Asia, and Southeast Asia. The Taliban is an Islamic fundamentalist political movement in Afghanistan. 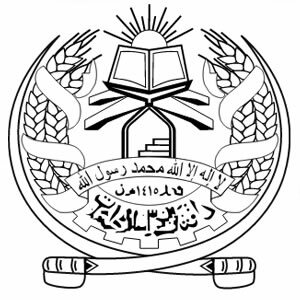 It spread throughout Afghanistan and formed a government, ruling as the Islamic Emirate of Afghanistan from September 1996 until December 2001, with Kandahar as the capital. It is now an insurgency. The United Nations has held ISIL responsible for human rights abuses and war crimes, and Amnesty International has reported ethnic cleansing by the group on a "historic scale". Participant in the Iraq War (2003–2011) and Insurgency (2011–present), the Syrian Civil War and its spillover, the 2014 Libyan Civil War, the Sinai insurgency, the War in Afghanistan (2015–present), the War in North-West Pakistan, and the al-Qaeda insurgency in Yemen. North Atlantic Treaty Organization, ISAF, Islamic Republic of Afghanistan, and the Global War on Terrorism. Iraq and Syria. After a series of expansions, as of November 2014, it claims provinces and controls territory in Iraq, Syria, Sinai, and eastern Libya. ISIL also claims provinces and has members in Algeria, Lebanon, Jordan, Saudi Arabia, Yemen, and Turkey, but it does not control territory in these areas. The foundation of an Islamic state. Specifically, ISIL has sought to establish itself as a caliphate, an Islamic state led by a group of religious authorities under a supreme leader—caliph—who is believed to be the successor to Muhammad. The foundation of an Islamic start as regulated by Islamic Law. The group has been designated as a terrorist organization by the United Nations, the European Union, the United Kingdom, the United States, Australia, Canada, Indonesia, Malaysia, Turkey, Saudi Arabia, the UAE, Egypt, India, and Russia. The Taliban were condemned internationally for their brutal treatment of women. According to the United Nations, the Taliban and their allies were responsible for 75% of Afghan civilian casualties in 2010, 80% in 2011, and 80% in 2012.